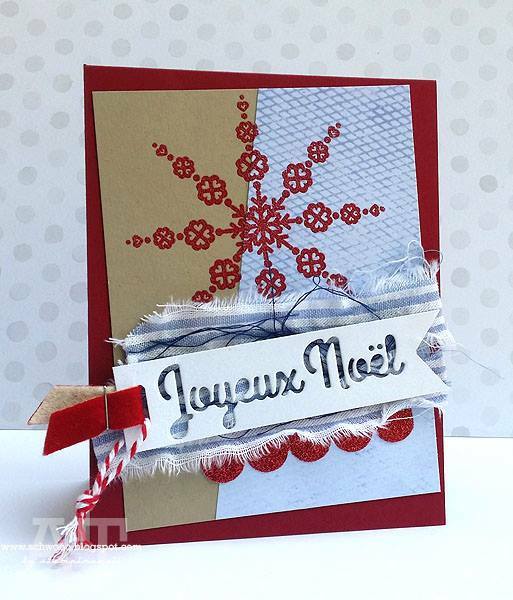 Here we are at Day 3 of our Holiday release sneak peeks!! and today will be no exception! and the Fri-Die will coordinate with a few of our sets this release! and it's been a huge hit! This collection will be available October 3rd!! The waiting is nearly over but our sneak peeks aren't. 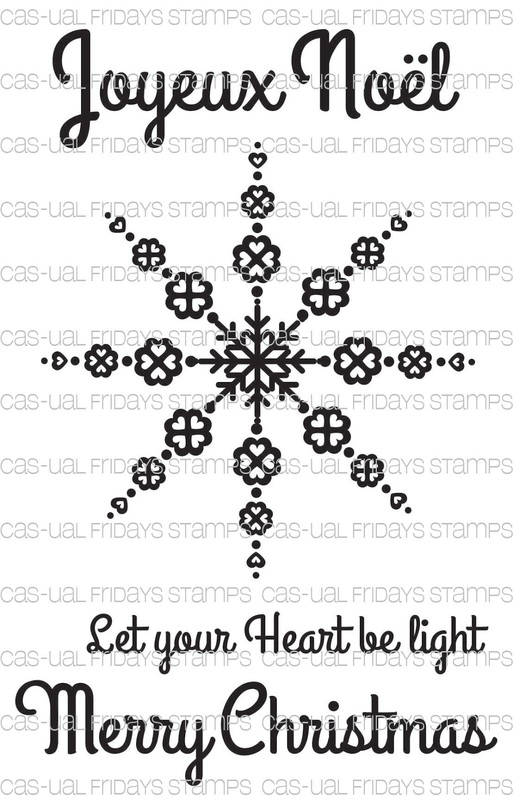 and a Fri-Die set that you'll love for the Holidays and beyond! Holy Cow and WOW!!! 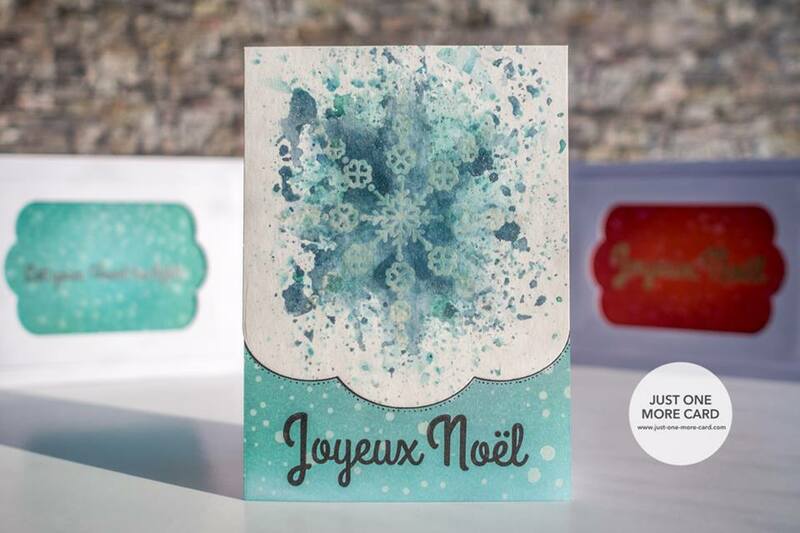 I am bowled over by these new products and the beauty in all these cards - amazing in every way - style, color, technique!!! I am just so in love with those greetings and the beautiful snowflake!!! So excited!!! I adore this set! That snowflake is gorgeous. Gorgeous cards by everyone! Loving the snowflake pattern! That snowflake is so pretty! 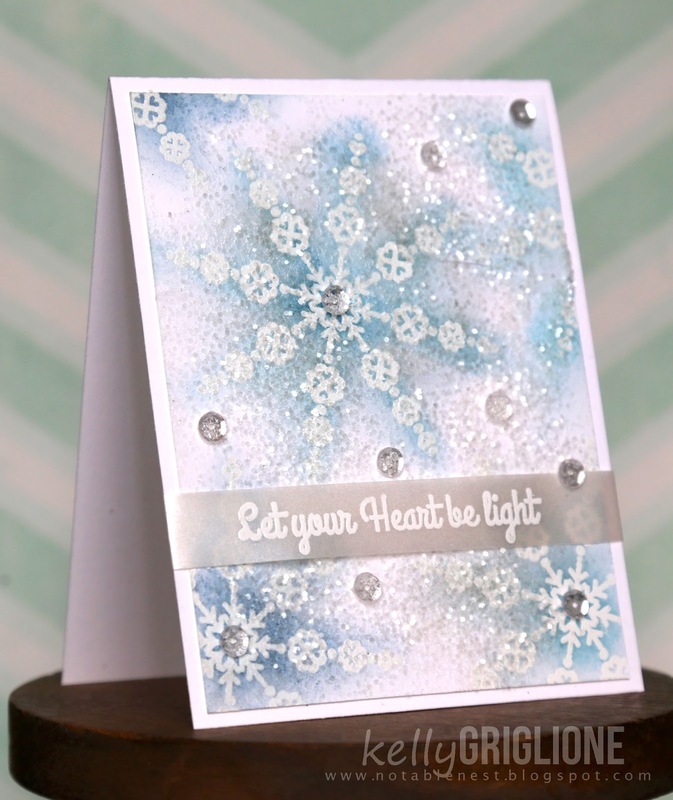 Today's release is soooo stylish and sophisticated, especially the stunning snowflake! Gorgeous showcases! The sentiment dies...oh my! 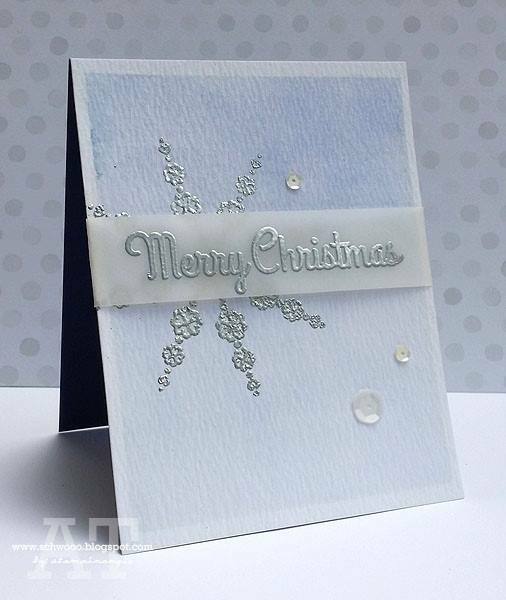 Beautiful cards with that gorgeous snowflake and wonderful sentiments, love the fonts! Such stunning cards and what a beautiful set! Love matching dies! The snowflakes and sentiments are calling me. Gorgeous cards! So beautiful, and classic CAS-ual Fridays! Love it! 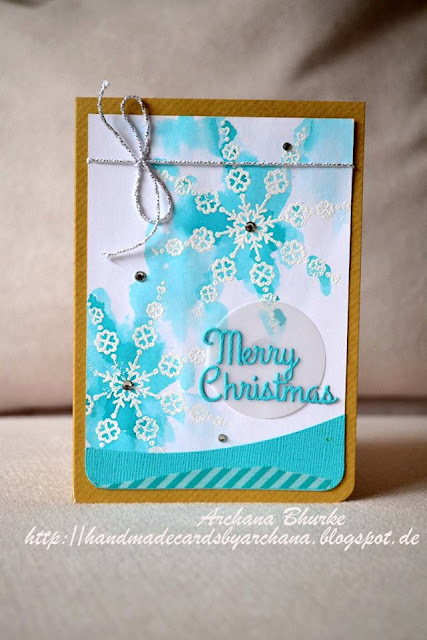 Gorgeous stamps and dies! And lovely samples to show them off... I pinned several! 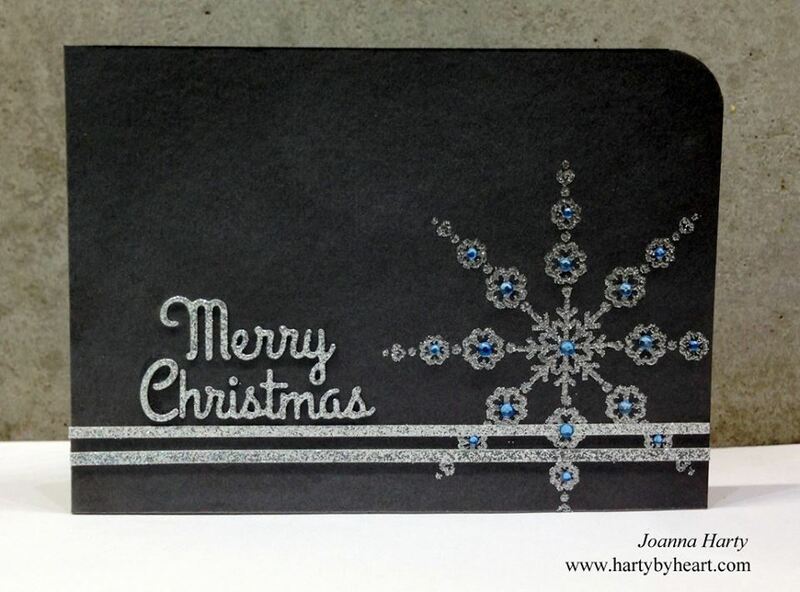 These snowflake cards are beautiful! I always love snowflakes at the holidays for my crafting. Gorgeous DT inspiration. 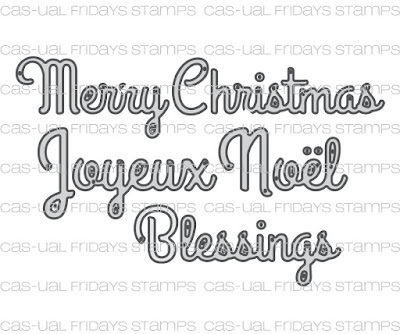 Love the snowflakes and fancy sentiment fonts. Love that big snowflake. Every color it was made in really popped. Such a gorgeous stamp. I love that silver with blue rhinestones.. Wow! The snowflake stamp! That is a must-have! Simple, beautiful and elegant! Characteristics of your products always! I love them. WoW some truly gorgeous projects! Oh wow--I LOVE these! I'm always in the market for more snowflakes! I took French in high school and I absolutely LOVE the Joyeux Noel sentiment!! Love work by the DT also. Yippee, so excited to see these for the release!! 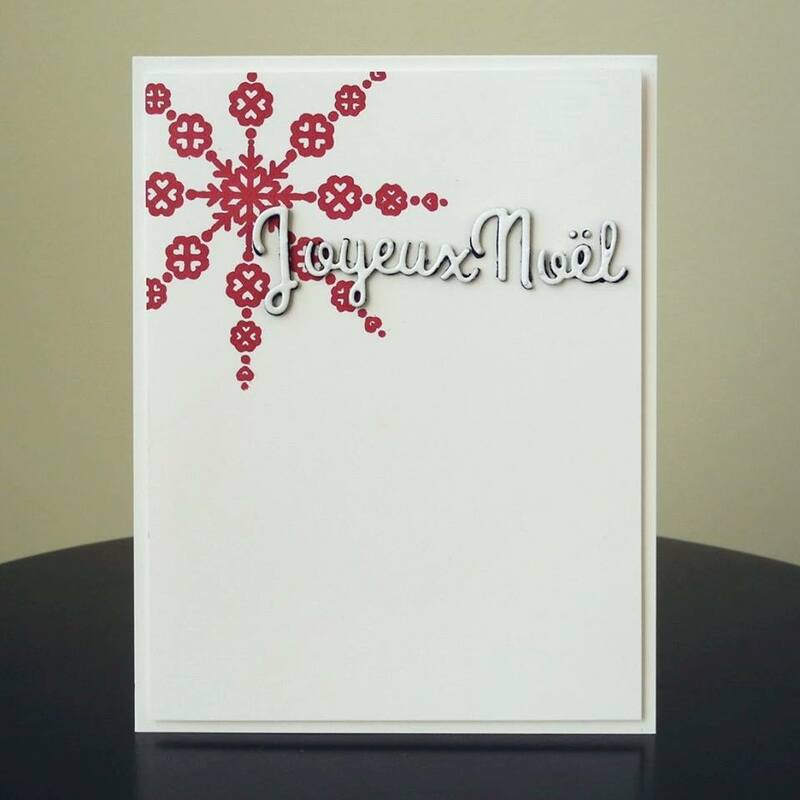 Love the die-cut words and the snowflake stamp is fabulous being so big. Can't wait to play with my ones now!!! Ooooo...that snowflake is fabulous!!! And so sweet how it's made up of little hearts!!! Love the die-cut words too! Such a fun font!